They say that “if you don’t ask, you don’t get” and that’s certainly seems to be true when it comes to fundraising. At least it is for 81% of us1 - the percentage of people prompted to donate to charity because they were directly approached to, rather than as a spontaneous decision. Figures, right? It’s not that we don’t care, it’s just that lives are hectic, days are busy and causes however worthy may not always be front-of-mind. Such a request to give can come in a number of guises. The most effective is when a donor visits a charity shop (22%) and the next most successful being a bucket or box collection. Closely behind, in joint third place, are donations solicited when at a religious event, or a request from a colleague, friend or family member. All of these work, but they’re not particularly scale-able. Unlike the other third place contender of, “when receiving a mailing through the post”. It seems as many people are prompted by direct mail to dig deep and fork out, as they are if personally asked to do so by someone close to them! 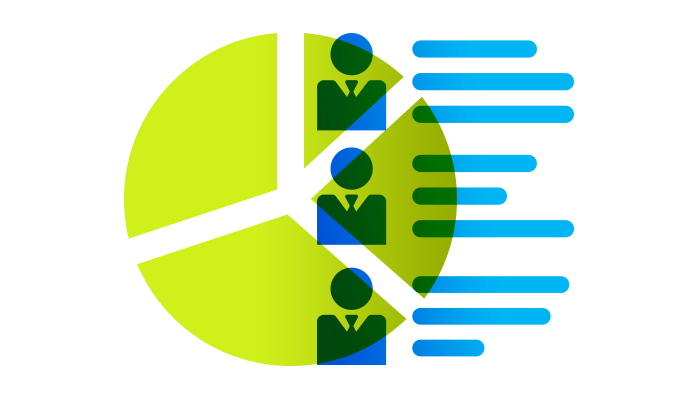 Relying wholly on face-to-face communications might be feasible for smaller, local causes. For larger, national and international charities it’s simply impossible. Personalised direct mail provides a practical means of communicating with thousands, tens of thousands, or even millions, in a way that imitates such a personal approach. While some donors, or prospective donors, are happy to receive blanket, standard messages others prefer communications that are more tailored (36%). This figure increases to 52% when it comes to 18 to 29-year-olds. They expect charities to address them directly, taking note of their interests or, for example, what is going on in their local area. Their uniqueness is important to them and a unique request is more likely to hit the spot. The notion that communication channels have their own characteristics, and that that collection of characteristics gives it its own personality, makes a lot of sense. 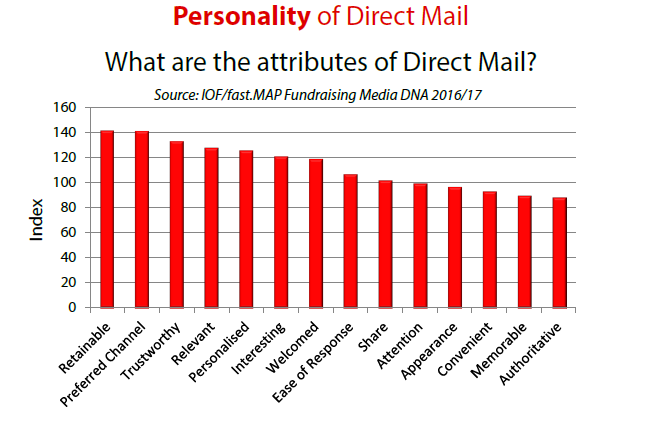 The Institute of Fundraising, in collaboration with FastMap2, analysed the “personalities” of the array of channels utilised by fundraisers. The research found that direct mail was streets ahead of the other channels when it came to overall engagement. It was pipped to the post by social media, and that only because of its unique “shareability”. As was expected, the over 55’s love DM’s trustworthiness, perhaps less so was the fact that those in the 18-34 and 35-54 age brackets are also huge fans. Scoring way above average on many traits, direct mail more than holds its own. 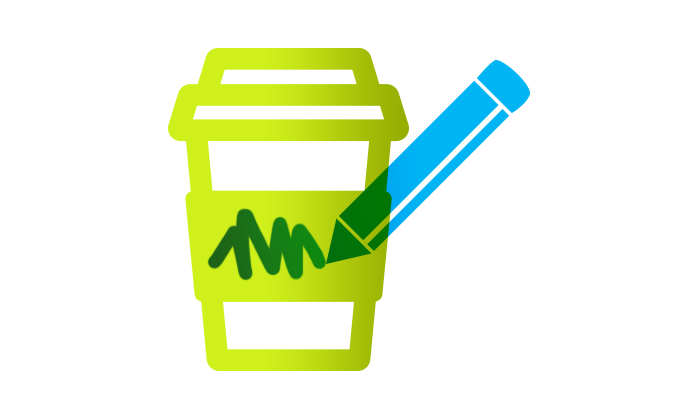 Personalising it and ensuring its relevance to the recipient continues to deliver for the fundraising sector. 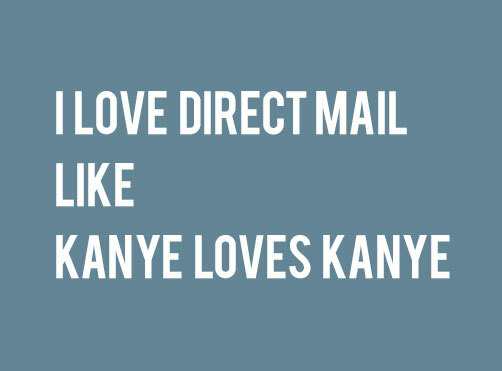 Direct mail – creative, engaging and millennials love it!